Modul8tion can provide your group with pre-visualization services. Digital pre-visualization is another discipline at which we excel. 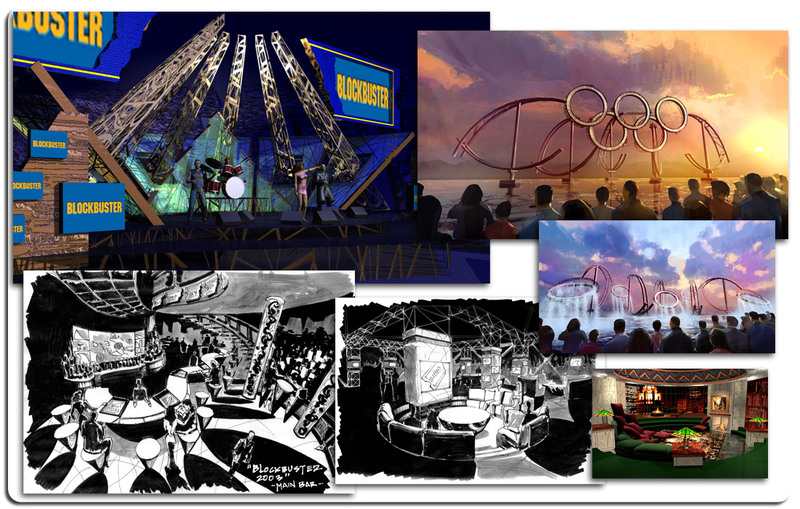 We can take production sketches and bring them into a virtual environment allowing for a more realistic view of your upcoming production. Don’t have production sketches yet? Not a problem. one of our talented illustrators can meet with you to generate sketches in real time according to your wants and needs. The final visualization can also be animated for fly-throughs. Although you might view digital pre-visualization as another big expense, it can actually save you a lot of money in the long run. It allows you to make large and small adjustments on paper or in the digital realm in order to avoid costly mistakes during construction. Imagine moving a wall once construction has begun. It is time consuming and costly. And you may not be happy with the new location once it’s moved. Now consider the time and money invested in digital pre-visualization. You want to move the wall? Okay, let’s see how that looks. How about a side by side comparison? Maybe a different color palette. That is the value of pre-visualization. There is no better way to get your idea across for a proposal or sales meeting than through a digital pre-vizualization. Consider an animated fly-through for your next project to allow your client to get a feel for the how the final installation will look. Leave it to us to make you look your best. You can thank us when you land the contract. Call today to arrange a meeting or discuss how pre-visualization can benefit your company. We’ll help you to magically be able to see something before it’s physically there.